Devil's Due teams up with pop culture purveyor Ohiya for the cutest little zombie apocalypse you've ever seen. Ohiya has some really cool character designs going for itself with Koki, the zombie cat and friends. Now the eastern-flavored characters are on their way to the San Diego Comic Con in the form of their new comic book and limited edition Tee, courtesy of Devil's Due. Devil’s Due continues to execute on its promise of collaborating with the latest breaking pop-culture phenomenons, as evident in its partnership with Ohiya. 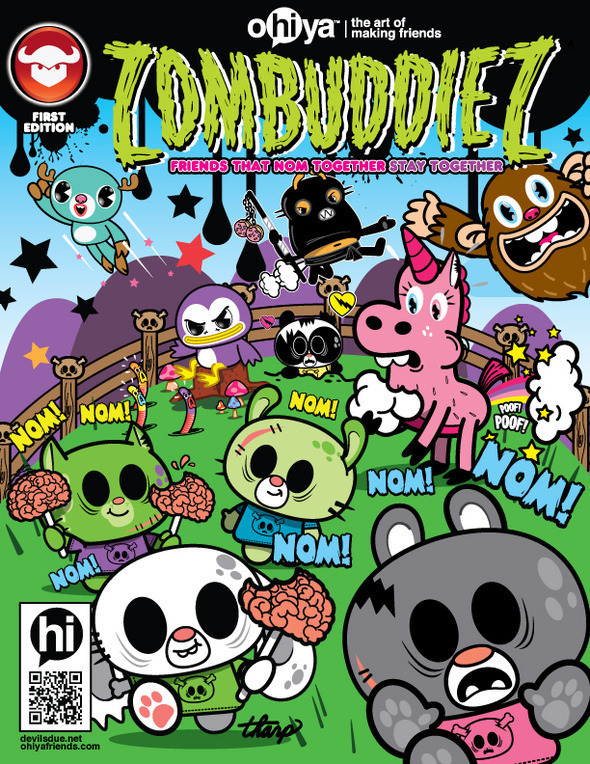 This year’s convention will see the joint-unveiling of the comic book “ZOMBUDDIEZ: FRIENDS WHO NOM TOGETHER STAY TOGETHER” and a limited edition t-shirt featuring Ohiya’s resident zombie cat, Koki, feasting on the brains of the Devil’s Due logo. Can't make it to Sandy this year? 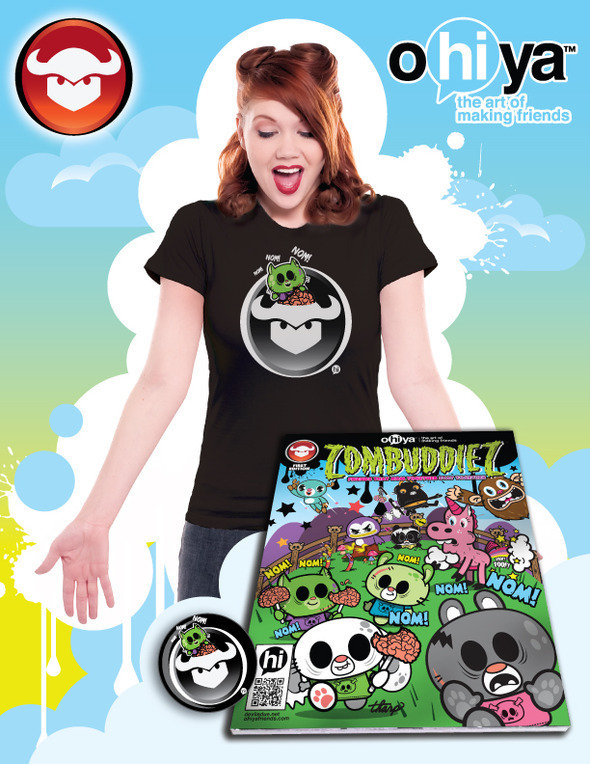 Check out Devil's Due on their kickstarter page to nab some of the convention exclusives so you don't miss out. If you are going though, you might want to head to booth #2229. 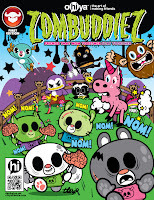 That's where you'll find Ohiya and their newest Zombuddy- Broozr.